The early years are the most critical period of learning for a child with autism. Therapeutic art-making can be a useful tool to tap into their imaginations and help them to express their thoughts and feelings. Includes practical advice on helping a child move beyond scribbling, organizing the child's environment for maximum comfort and relaxation, and providing physical and sensory support. 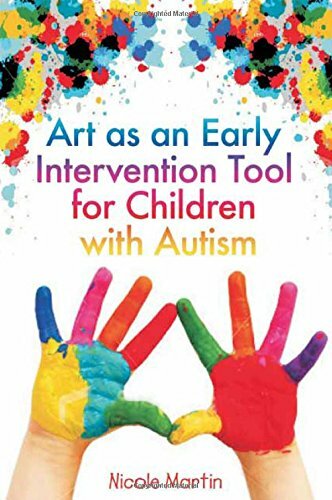 Includes tips and suggestions for how to provide art therapy for children with autism - covering topics such as the basic materials required, safety issues, how to set up a workspace, and ideas for managing difficult behavior. Appendix B is a summary of the book.